NordFX has set a symbolically low minimum initial deposit requirement of $5 (for Micro and 1:1000 accounts). This makes it attractive for risk averse or inexperienced traders who are not willing to invest a large amount of money. Most brokers require a certain minimum initial deposit. For instance, Cyprus-based Easy-forex demands $25, and Belize-based ForexBrokerInc, requires $100 from its clients as a minimum. This broker offers both fixed and variable spreads, which vary by account type. Fixed spreads on the Micro account are 2 pips on EUR/USD. The average spreads for the commission-free Standard account amount to 1.6 pips on EUR/USD, which is considered comparatively high, while the MT ECN account offers average spreads as low as 0.0 pips on EUR/USD, however It also involves a commission ranging from $3,5 to $5 per lot, depending on the volume traded. So basically, the average spreads offered by NordFX on the ECN account are comparatively low, being around 1 pip, commission included. In comparison, ForexBrokerInc offers variable spreads from 1 pips on its commission-free accounts, and Marshall Islands-based LiteForex provides fixed spreads, amounting to 2 pips on EUR/USD and variable ones are 1.1 pips on EUR/USD for the ECN account. As regards NordFX CY, it offers variable spreads, averaged 1.5 pips on EUR/USD for its general commission-free account type, which is an average spread value. 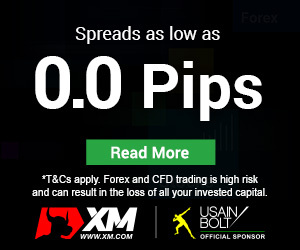 In comparison, XM offers spreads as low as 1 pips for its commission-free accounts. The maximum leverage level offered by NordFX is 1:1000 and the one provided by NordFX CY is up to 1:500, both ratios being comparatively high for the forex market. 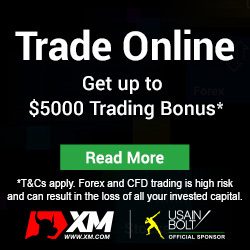 Still, many other brokers provide similar leverage levels, since there are no restrictions set: SVG-based OctaFX and ForexBrokerInc both offer leverage up to 1:500, and many Cyprus-based brokers offer high leverage levels around 1:1000 (FXTM). More brokers offering leverage equal to or exceeding 1:500 can be viewed here. We advise you to exercise caution when trading on margin, as higher leverage involves higher risk of heavy losses, which may even exceed traders’ initial investments. NordFX offers a choice of two basic trading platforms: the renown MetaTrader 4 (MT4) and MetaTrader 5, while NordFX CY supports only MT4. MT4 offers all a trader needs: a number of technical indicators, extensive back- testing environment, advanced charting package and a wide range of Expert Advisors (EAs). Traders can download ready-made or create their own automated trading strategies and simply let the program do all the work. It comes in desktop and mobile versions. What is more, MetaTrader 4 MultiTerminal is available, an ideal choice for investors and managers, for traders who work with several accounts at the same time. You may look up more brokers using the MT4 here. The MT5 was developed and marketed as an improvement on MT4, yet many brokers still prefer the earlier technology, since MT5 does not allow hedging, and besides, MT4’s indicators and EAs are not supported on the MT5 platform. You may look up more brokers supporting the MT5 here. Besides, Virtual Hosting (VPS) is available. NordFX offers Fozzy Forex virtual server for 9.95 EUR/13.95 USD monthly. Another extra service provided by this broker is Signals trading from MQL5. This broker offers different promotions quite often. Currently NordFX provides withdrawable on-deposit bonus of 100% (up to $ 5000) to its clients. Each customer is entitled to get the bonus only once and for one account. NordFX does not offer its clients many options to make deposits to and withdrawals from their accounts. The following payment methods are available: bank wire transfer and e-wallet systems, such as Skrill, Payza, OKPAY, FasaPay and Webmoney. The Cyprus unit uses Credit / Debit Card, Bank Transfer, Neteller and Skrill.